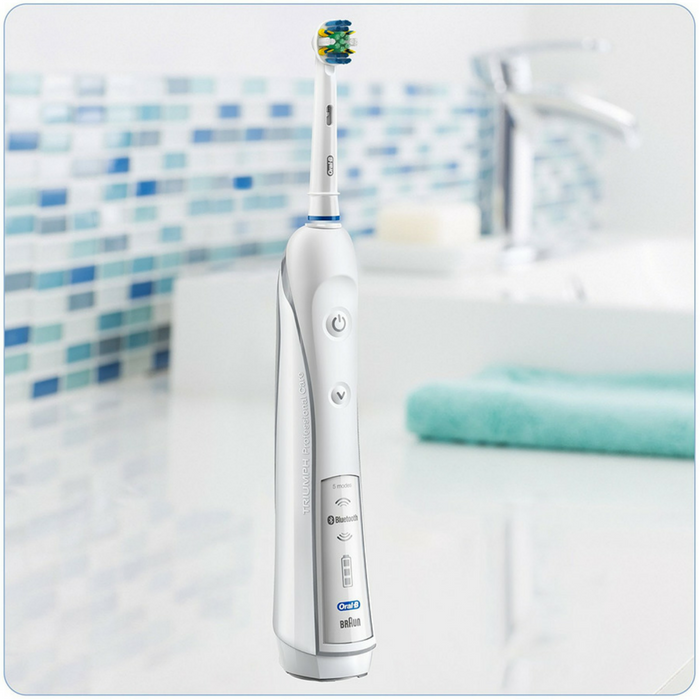 Oral-B Pro 5000 SmartSeries Electric Toothbrush Just $64.95! Down From $160! PLUS FREE Shipping! You are here: Home / Great Deals / Amazon Deals / Oral-B Pro 5000 SmartSeries Electric Toothbrush Just $64.95! Down From $160! PLUS FREE Shipping! Hop over to Amazon to score this #1 Best Selling Oral-B Pro 5000 SmartSeries Electric Toothbrush for just $64.95 down from $159.99 when clip the extra $15 off coupon code located below the price! PLUS, it’s FREE shipping! The Oral-B Floss Action rechargeable electric toothbrush head features a dentist-inspired round head and MicroPulse bristles for a superior interdental clean. The specialized bristles are designed to reach deep between teeth and remove more plaque than a regular manual toothbrush when used with an Oral-B electric toothbrush. Use the Oral-B App to share your brushing progress with your dentist, allowing them to provide specific recommendations and instructions for you to follow at home. The app stores up to 6 months of your brushing data, allowing you to share your progress with your dentist and customize a unique brushing routine tailored to your needs.